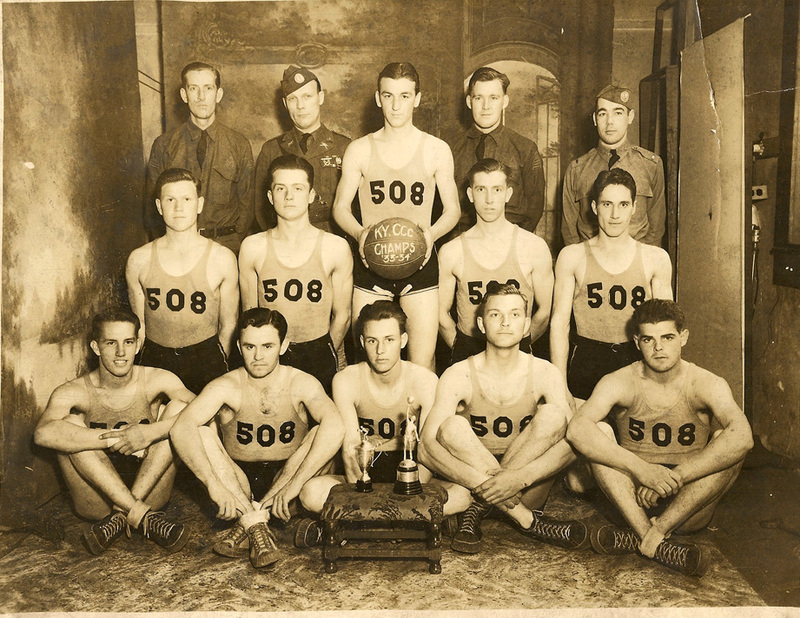 CCC - 1933 - 1934 at Benton, Marshall Co., KY: Before WWII started for the United States on December 7, 1941 with the bombing of Pearl Harbor by the Japanese, a young man's fancy might turn toward basketball. The above young men were part of the Civilian Conservation Corps. ("CCC"), a government organization hiring during the Great Depression to work on selected projects, from artistic creations to building roads and bridges. 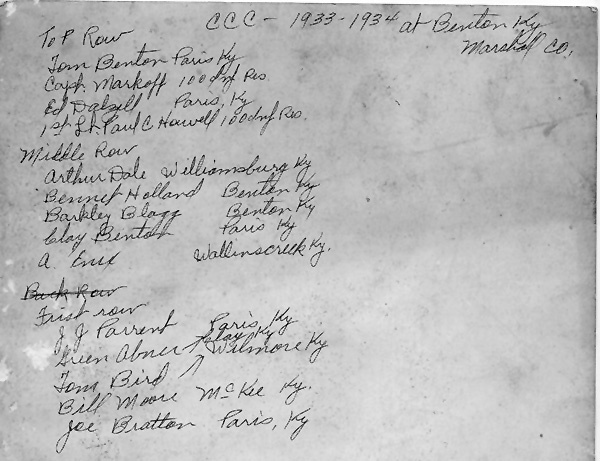 Names and hometowns written on the back of the photo: Top Row: Tom Benton, Paris KY; Capt. Markoff, 100 Inf. Res. ; Ed Dalzell, Paris KY; 1st Lt. Paul C. Howell, 100 Inf. Res. ; Middle Row: Arthur Dale, Williamsburg KY; Bennett Holland, Benton KY; Barkley Blagg, Benton KY; Clay Benton, Paris KY; A. Enix, Wallinscreek, KY; First Row: J.J. Parrent, Paris KY; green Abner, Clay KY; Tom Bird, Wilmore KY; Bill Moore, McKee KY; Joe Bratton, Paris KY.
Once accepted into the Service, a soldier or sailor could ask for an allowance for his family who were dependent upon him. 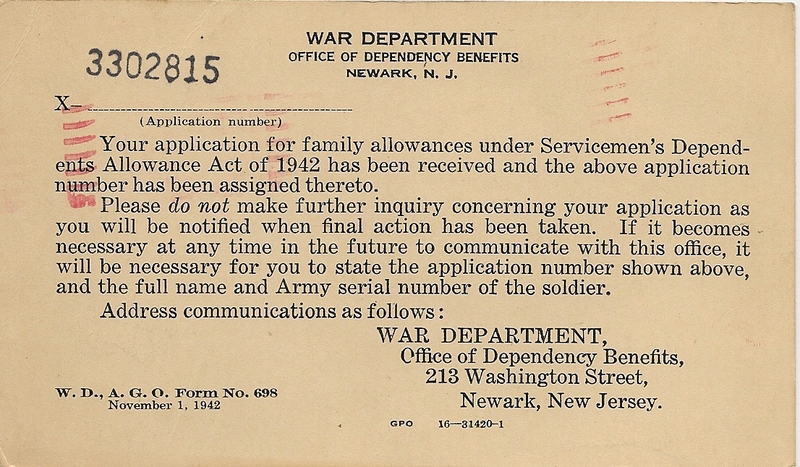 Although generally given to a spouse and children, allowances were also made to dependent parents or siblings. 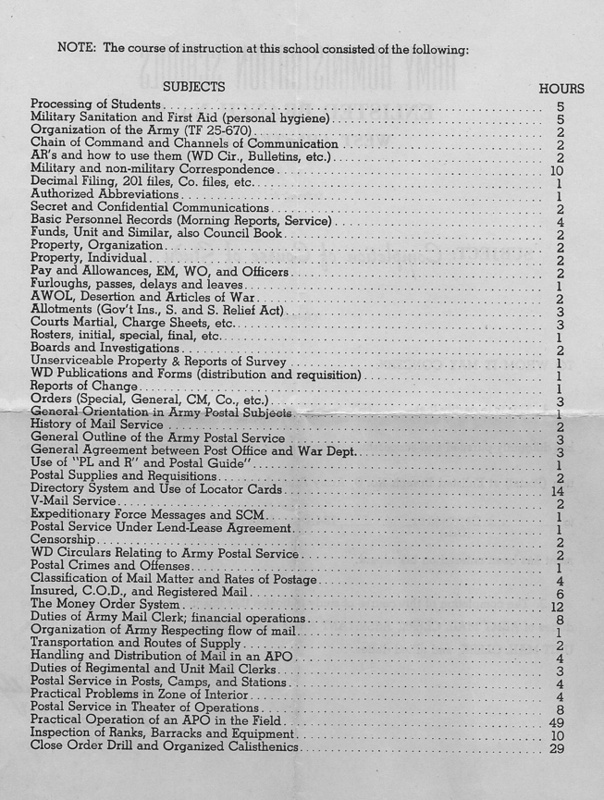 Men of military age were required to register for the military draft. 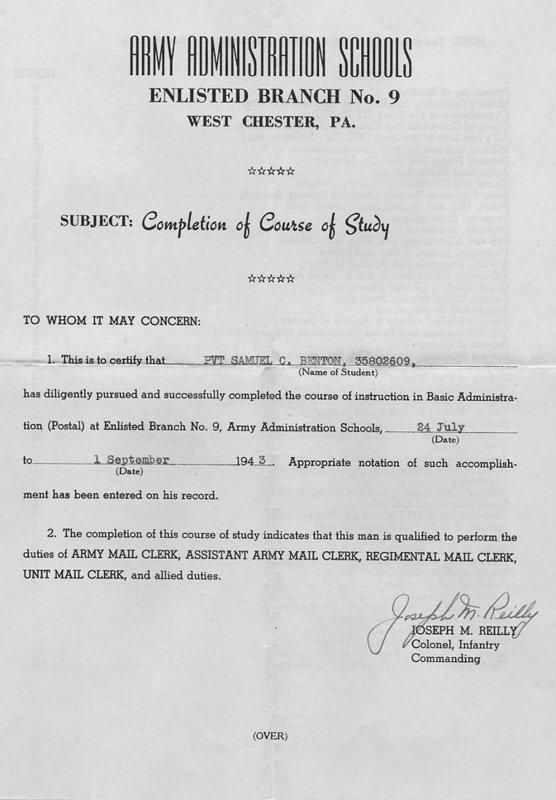 Servicemen were given training to qualify them for specific duties. New Soldiers and Sailors were assigned to a Company in Boot Camp. 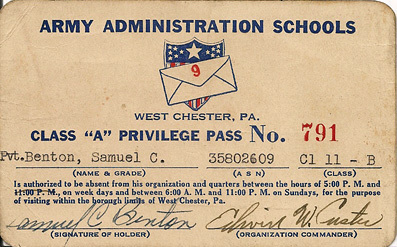 Having successfully completed schooling, soldiers were allowed a Pass to visit their families. Food and strategic materials, such as gasoline, were rationed during WWII and for sometime afterwards. SHARE YOUR WWII PHOTOS AND MEMORIES of those from Bourbon Co. 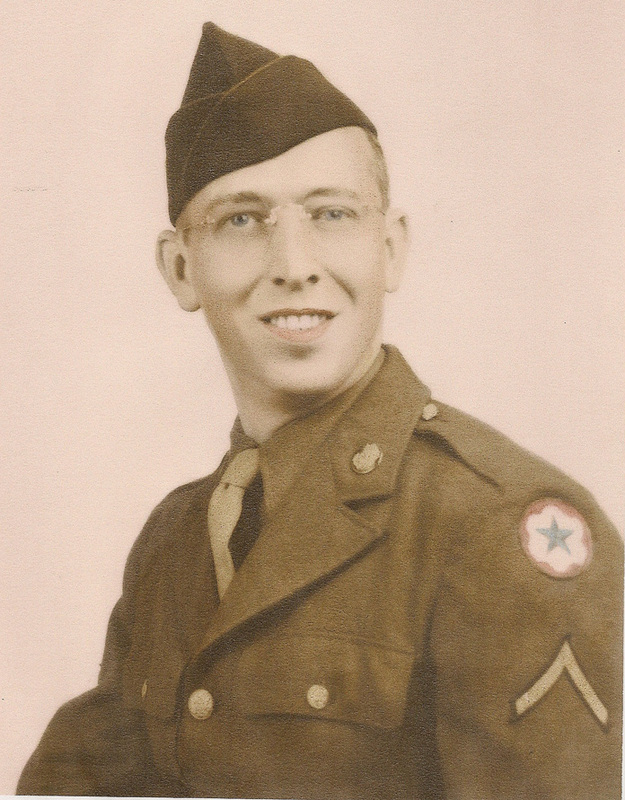 The collection below was contributed by a Paris resident whose father served during WWII. Thanks so much for her generosity in scanning and sharing all of these items with us. Like many G.I. 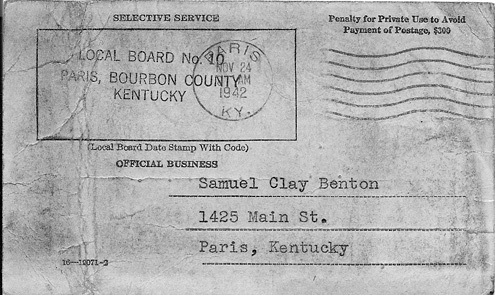 's, Clay Benton used his military training in his career, working for the Paris Post Office. The old Post Office building now serves the County Historical Society as a museum to display their collection and items donated for specific exhibits. 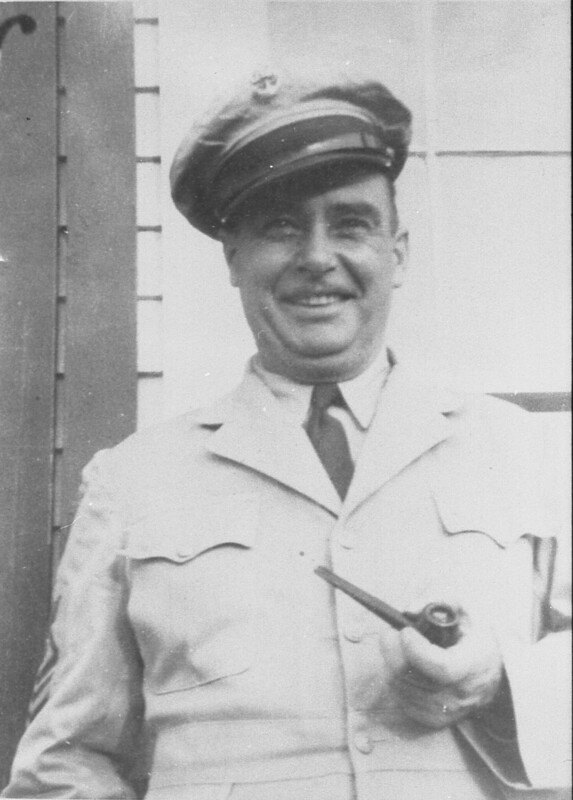 The photo above is of my Dad, a WWI vet. 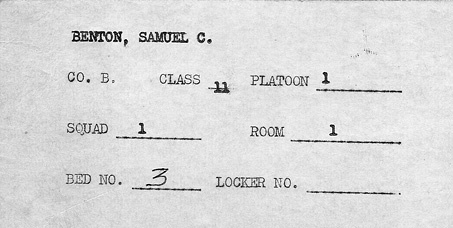 who served as a Sea-Bee during WWII. 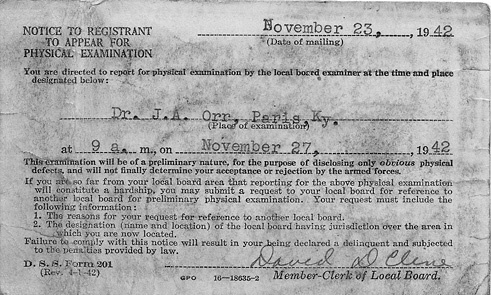 Private Omar Cord was killed in action on Nov. 25th in Germany. died about a year ago at the Liggett & Meyers Redrying Plant, it is said. Staff Sgt. 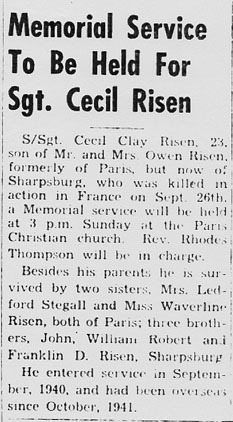 Cecil Clay Risen, 23, formerly of Paris but now of Sharpsburg, Ky., who was killed in action in France on Sept. 26th a memorial will be held at 3PM Sunday at the Paris Christian Church. Rhodes Thompson will be be in charge. Besides his parents, he is survived by two sisters, Mrs. Ledford Stegall and Miss Waverline Risen, both of Paris; three brothers, John, William Robert, and Franklin D. Risen, Sharpsburg. He entered service on September 1940 and had been overseas since October 1941. 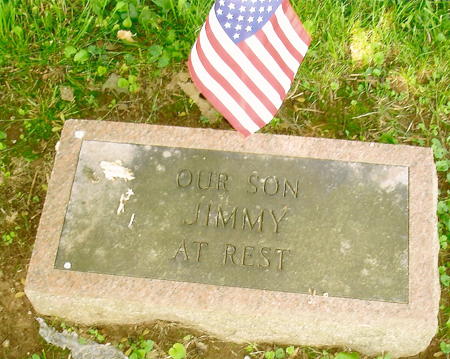 The tombstone for Sgt. 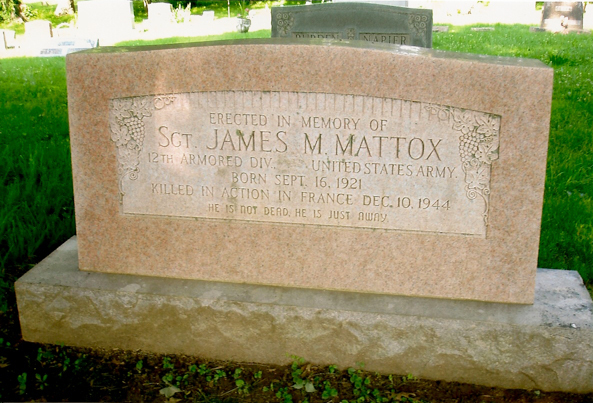 James M. Mattox, Date of Birth-Sept. 16. 1921stated: 12th Armored Div., US Army Killed in Action in France, Dec. 10, 1944. Sgt. 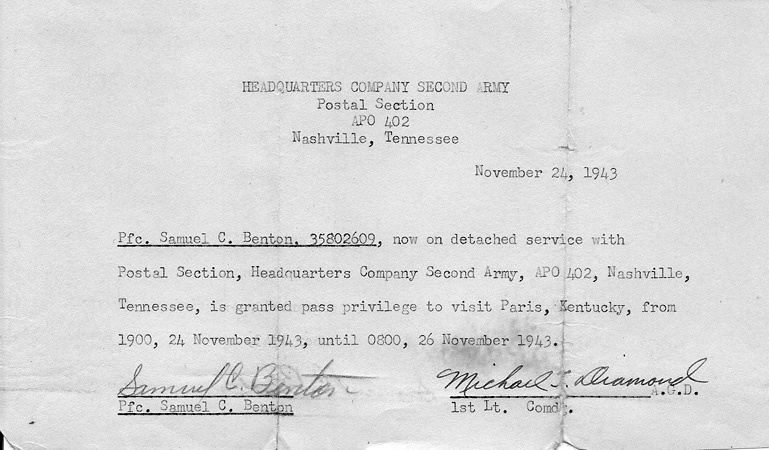 Mattox entered the armed forces on Dec. 16, 1942 and was the son of Mr. and Mrs. S. H. Mattox, who lived at the Tarr Station, on Paris -Millersburg Road. Mr. and Mrs. Mattox have the sympathy of the community in the loss of their fine son.